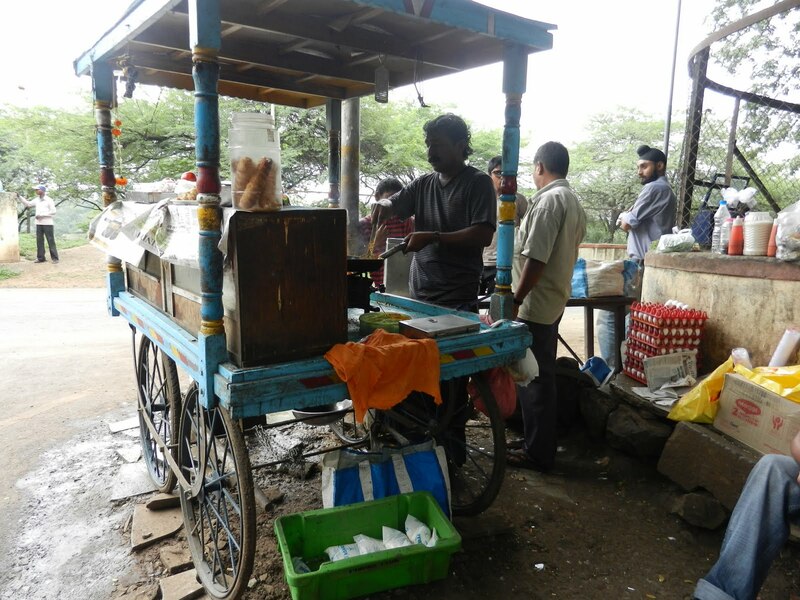 Variety of food in India – World Joining Us! 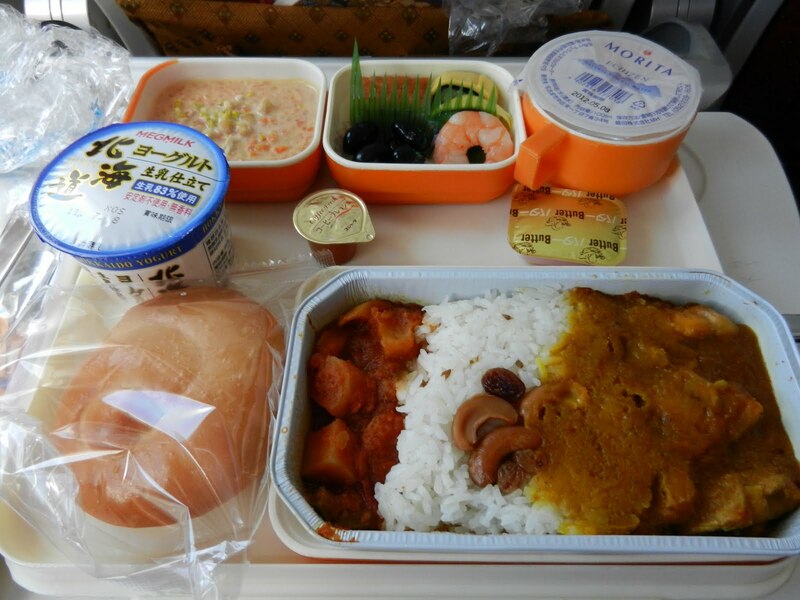 This was a dinner which I had on the airplane from Tokyo Narita airport to Delhi international airport. Usually, I don’t care about the quality of dish on any airplane but I could not stop feeling strange when this dish brought to me. How can I categorize this food? Curry, Sushi and bread came on the same plate…Indian Japanese European style…and it is non-veg food. I was curious what they prepared for vegetarian. This is fried rice which is originated in South Asia in the kitchen of Muslim rulers. Indian often eat Biriyani and they have a lot of varieties in each region. 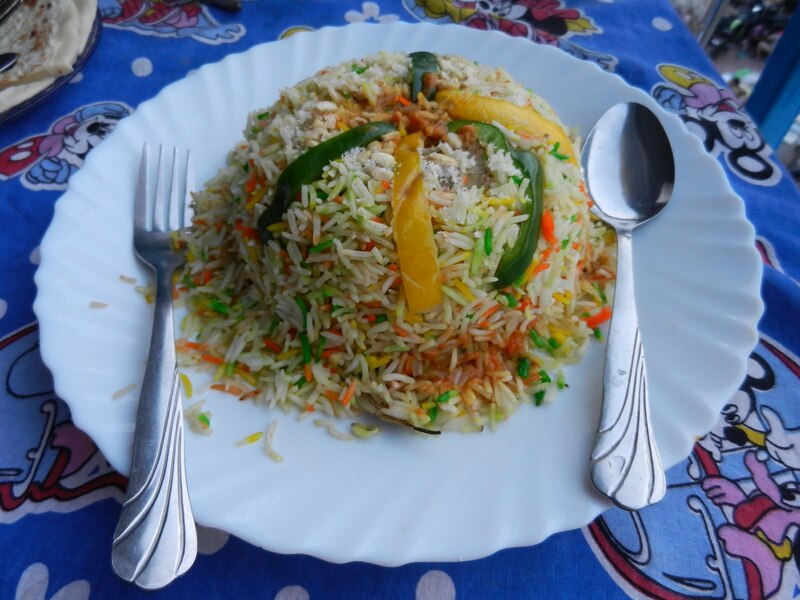 Mostly, I preferred Chicken Biriyani and also easy to find vegetable or Mutton Biriyani in India. Some people may think Indian always eat curry and it can be said true but you can also find Tibetan or Nepali foods which are less spicy than Indian food. One dish is around Rs 200 (4 USD) in middle class restaurant that both of native people and foreigner often come. I ate breakfast at street restaurant every morning and it costed Rs 25 for one noodle plate. About meat, you can find Chicken, Beef, Mutton and Buffalo or frog sometimes. (Frog was called “Jumping chicken”) However I’ve never found pork so far in India. A Nepali told me pork is dirty animal for them as we (Japanese) cannot eat dog, not sure the opinion from Indian though. You can find any alcohol in India. Beer, wine, cocktail, vodka, whiskey. The price really depends on place. 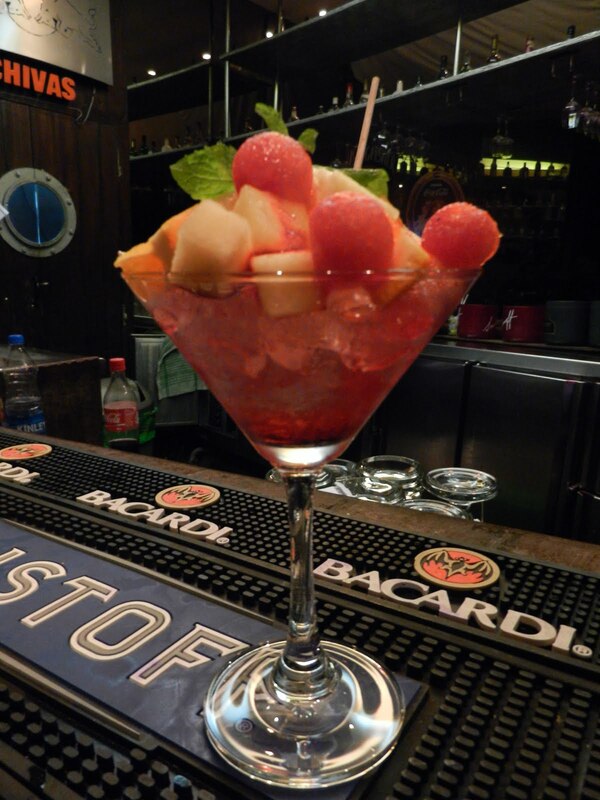 I got cheapest price about alcohol in Goa but the price can be almost same with Japan in big city in India. Note; MacDonald is also available in India!